This post brought to you by Bar-S Foods. The content and opinions expressed below are that of http://afewshortcuts.com/. During the Summer we are at our busiest! We are in and out and all about doing fun stuff and making memories the last thing I want to do is be in the kitchen. 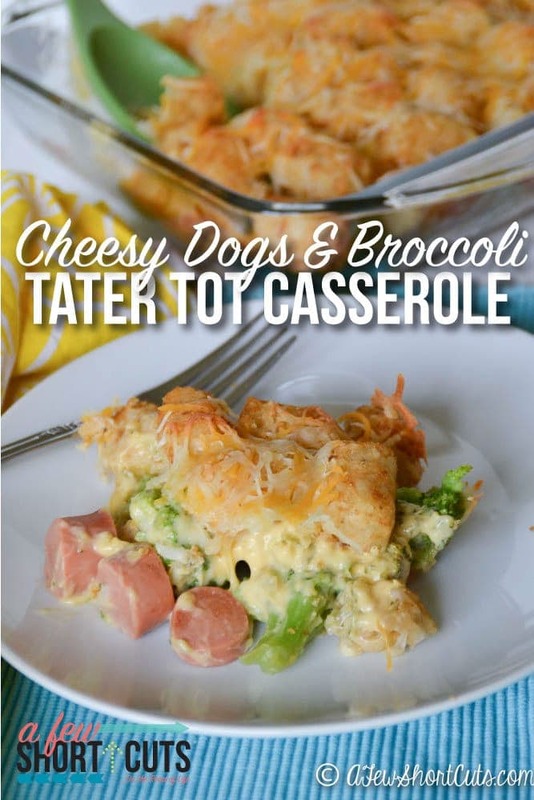 That is where this Cheesy Dogs & Broccoli Tater Tot Casserole comes in. Check out just how easy it is in the video. Gather your ingredients. 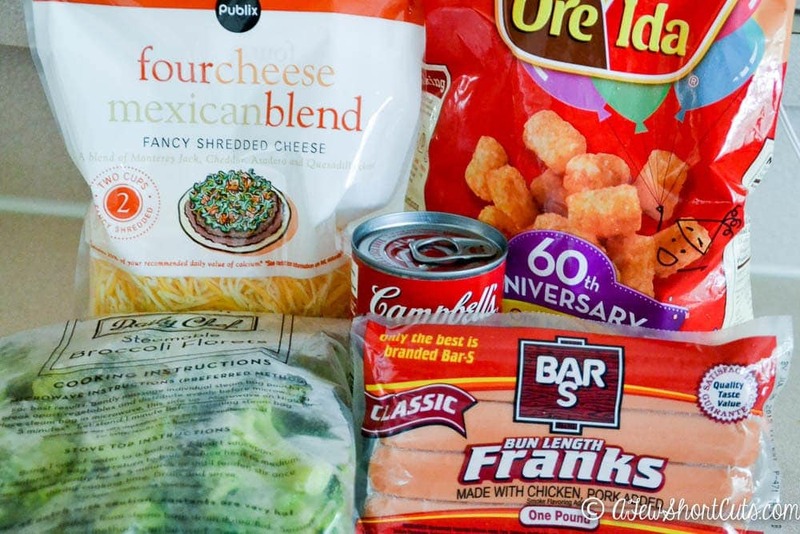 I already had most of them in my fridge and pantry including these Bar S Bun Length Franks. You can find them at many retailers. If you aren’t sure where to find them in your area you can check the store locator. 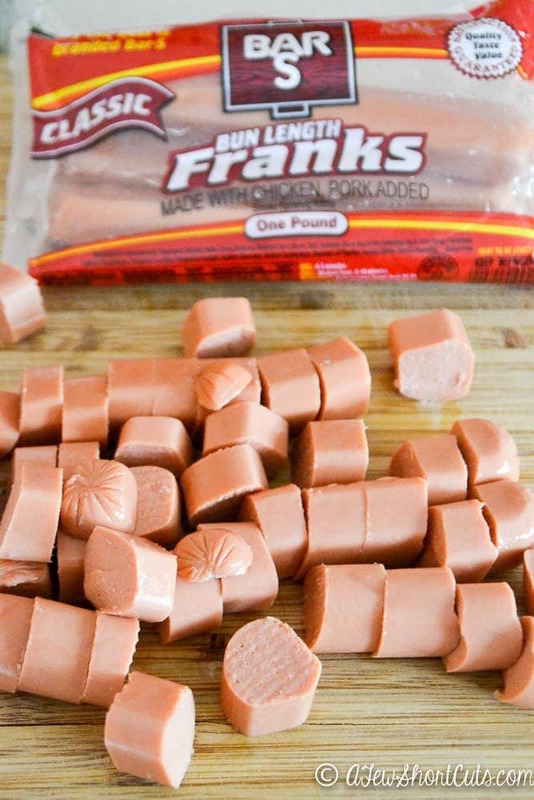 Cut the Bar S Franks into bite sized pieces. Mine were about 1/2 to inch bites. 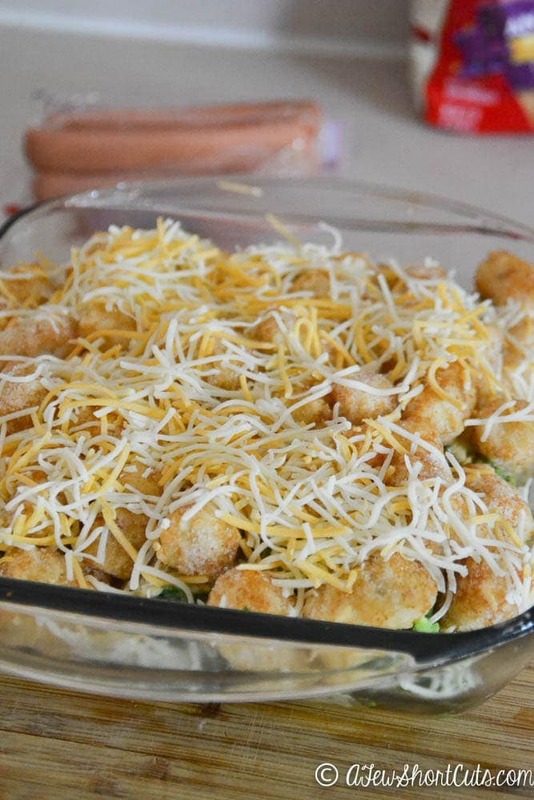 Toss the franks in a casserole dish with some of the frozen broccoli florets. 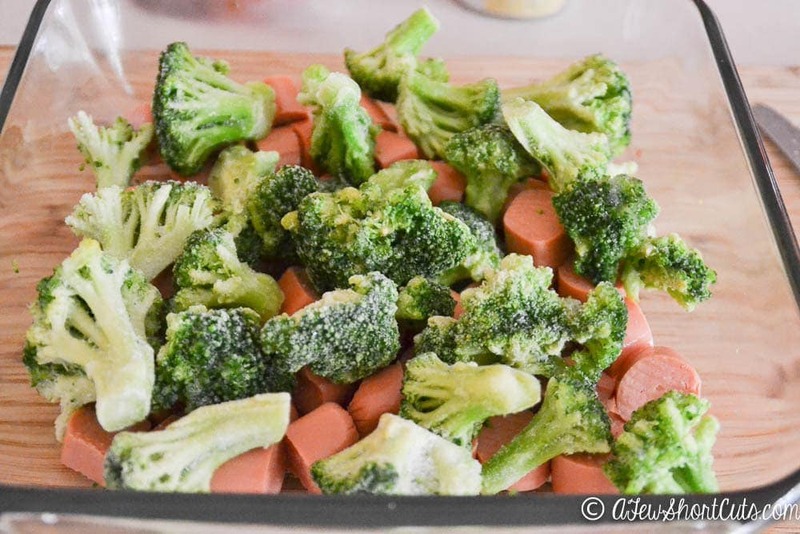 Pour a can of Cheddar & Broccoli soup over top the broccoli and hot dogs. 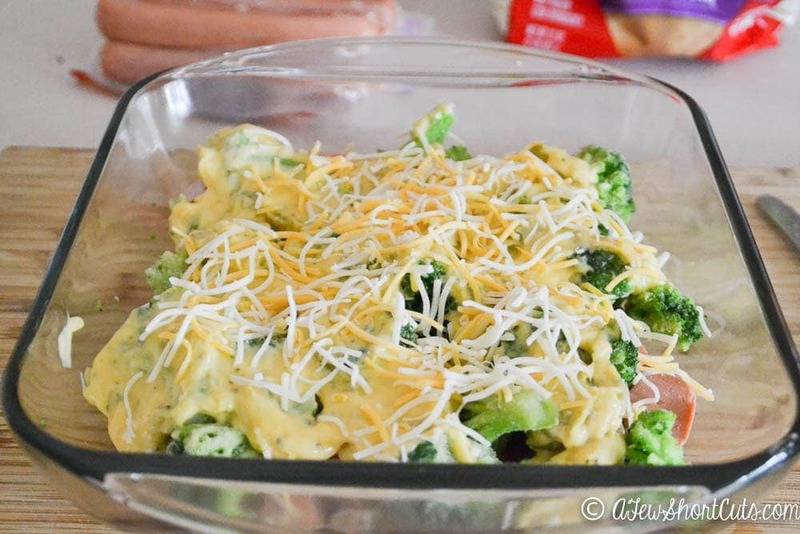 Top with an handful of shredded cheese. Top with tater tots and some more shredded cheese. Pop in the oven at 350 F for 30 minutes. 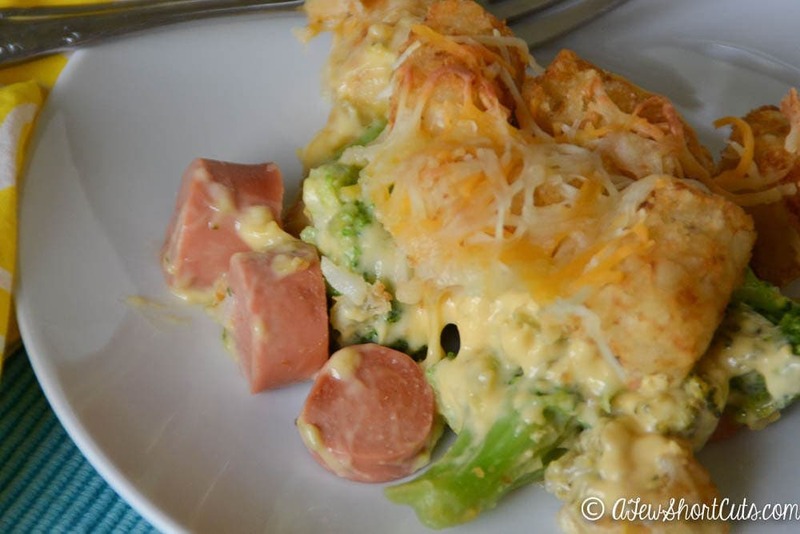 Layer hot dogs and broccoli in an 8x8 or 9x9 casserole dish. Top with soup and 1 cup of shredded cheddar. Top with the tater tots and the rest of the cheese. This recipe is easily doubled and placed in a 13x9 dish instead. Visit Bar-S Facebook for a chance to win products & prizes! and to follow their “Cartin’ Round the Country” which will feature different regional frank renditions from across the country. There will be tons of great ideas and recipes shared! You can find Find more information on Bar-S products on their website too!